Perhaps the best thing about Taylor's analysis is that he gives everything its proper due. He doesn't make claims for Godfather-level greatness when discussing these movies, but he does find their worth, both in pure entertainment value and the social commentary they offer. He discusses the shock value of Prime Cut (1972), while acknowledging what it has to say about the frustration and despair of the Vietnam era. Moments are allowed to exist for the thrill of it, but underlying themes of gender politics, injustice and the like are folded into the analysis. It is also encouraging the way Taylor can celebrate 'B' cinema while also acknowledging its casualties. As much fun as exploitation can be, it often takes women, people of color and other marginalized groups as its victims. He finds room to appreciate the films, while also condemning the humiliations they inflict. In an unusual, and laudable move, he also relies heavily on the words of female critics to support his views. As much as Bancroft craved and thrived living the actor’s life, she valued her family equally, if not more, and often made her personal life a priority. One of the most pleasing elements of the book is the way it explores her relationship with her second husband Mel Brooks. While this pairing of comedian and dramatic actress always seemed to puzzle the public, their marriage is one of the great Hollywood love stories. The pair was steadfastly devoted, living with compassion for each other, working around hectic schedules to be together and celebrating each other’s successes without a hint of jealousy. 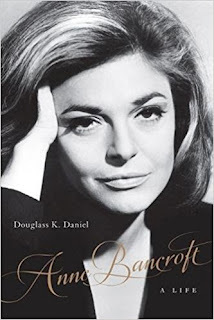 Daniel takes a straightforward approach to telling Bancroft’s story, easily weaving together the personal and the professional. Given the wealth of material he has gotten from his sources, he wisely avoids adding his own analysis of the actress and lets her friends and associates fill out the details of her personality. The result is a rich, authentic portrait which effectively captures her essence. This is a mystery for those who think that cocktails, and conversation, should sparkle. Set in late 1930s Hollywood, when the word Hitler sent a chill down many a spine, and David O. Selznick was about to set his version of Atlanta aflame, it exists in a world of classic movies and pre-war intrigue. 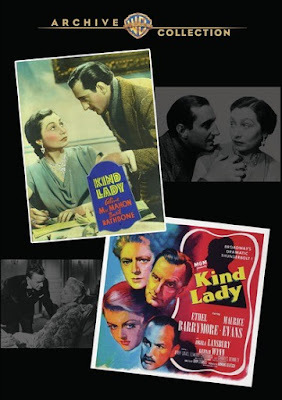 This installment follows Design for Dying, which like this book features Hollywood social secretary Lillian Frost and a fictionalized Edith Head, who in addition to their daily duties, solve mysteries on the side. Written by Renee Patrick, the pen name for husband and wife team Rosemarie and Vince Keenan, this engaging riff on the past juggles laughs, intrigue and suspense with a pleasing zest. 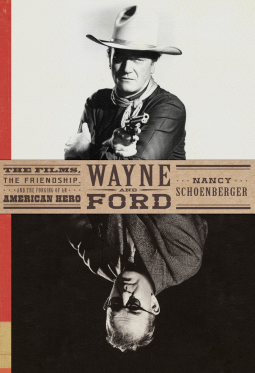 While there was not much that was new to me here, having read individual biographies of Wayne and Ford, being able to focus on their bond and films helped me to better understand the influence they had on each other and their public. 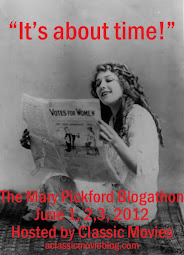 Malone has selected an interesting array of women to spotlight in the profiles that make up the bulk of her book. Her focus is intersectional and she covers creative, executive and technical professionals in her survey of female professionals. Her intention is to provide a brief overview of various issues and women in the interest of inspiring readers to dig deeper into each subject and there is a great list of books for further reading in the select biography. 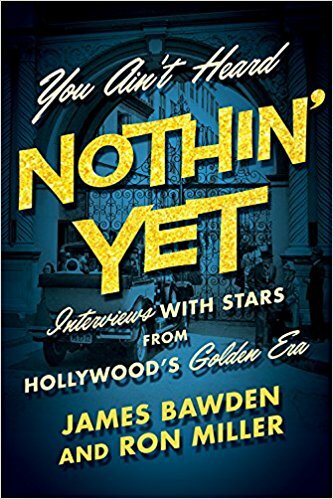 I found this a satisfying reference in itself though; it would be a great starting point for anyone interested in the history of Hollywood. As much as they were denied, women have innovated a lot in this industry, from Dorothy Arzner inventing the boom mike and Ida Lupino and Lois Weber bringing social issues to popular cinema, to Margaret Booth all but creating the concept of film editor as the first person to hold that job title. 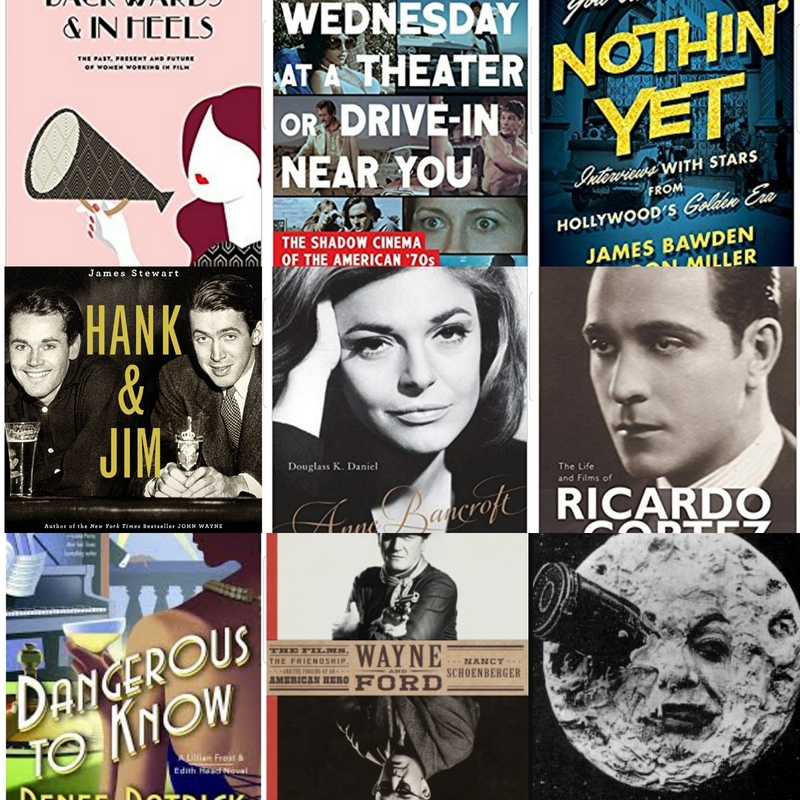 My deepest respect to these authors and all that they do to inform and entertain film lovers! I’ve been an admirer of film reporter and critic Alicia Malone ever since she came across my radar as a presenter for the FilmStruck streaming service. If you want to cover classic film as a reporter, you can’t study it, you have to have had a pile of VHS tapes stuck somewhere back in your childhood. It’s got to be in your blood. 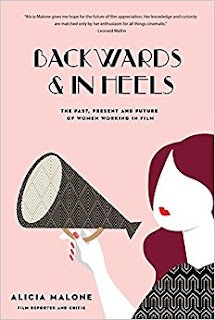 This is true of Malone, as she describes in the introduction of her powerful book Backwards and In Heels: The Past, Present and Future of Women in Film. She seems to have retained every film fact she’s ever learned through long years of fandom and she’s got great insight into everything she's absorbed, which makes this review of the female element of Hollywood all the more meaningful. Despite being shut out of many opportunities over the years, the history of women in film is the history of film. Backwards and in Heels focuses on the Hollywood industry, which in its early years was filled with powerful women, only changing when making movies became a business and men took over. 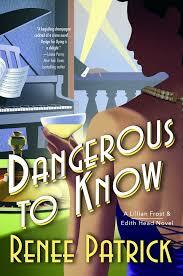 Malone follows the story of women in Hollywood from the silent years to the current day. As can be expected, it is often a frustrating history; we have lost so much simply because the talents of women, a half of our population, have been underused in the American film industry. There is also hope though, as seen in the stories of women like Geena Davis, Sherry Lansing Ava DuVernay and editor Joi McMillon who have pushed forward with passion, determination and creativity. Women have a long way to go in Hollywood, but they are definitely on their way. Malone has selected an interesting array of women to spotlight in the profiles that make up the bulk of her book. Her focus is intersectional and she covers creative, executive and technical areas in her survey of female professionals. Her intention is to provide a brief overview of various issues and women in the interest of inspiring readers to dig deeper into each subject. 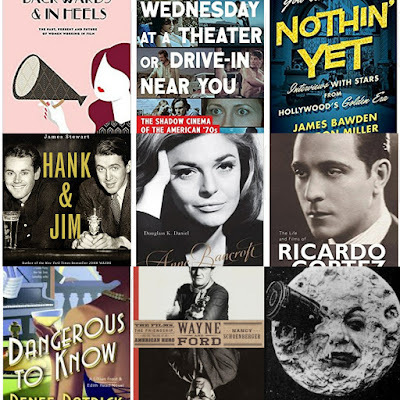 There is a great list of books for further reading in the select biography for further information. Malone has become a strong advocate for the promotion of women in Hollywood, including giving two Ted talks and several other speaking engagements. Her voice is incredibly valuable, because as she makes clear in the book, we are starting to see progress because the conversation about achieving parity in Hollywood is now ongoing and alive. As long as people in the industry keep talking, these issues will remain top of mind. I hope that she will continue to lead as a voice for this issue, speaking for the women who built Hollywood and those who will push it forward into a much more inclusive future. The Christmas spirit always truly envelopes me when I hear Deanna Durbin sing Silent Night. Auntie Mame (1958) is an outrageously charming film. It insists on your love. Against all odds it even charmed my Taylor Swift-loving skeptical tween. As she sat there howling at Rosalind Russell attempting and failing to master the complexities of a telephone switchboard I felt the awe of a true classic. Now this utterly adorable film is available on Blu-ray from Warner Archive. 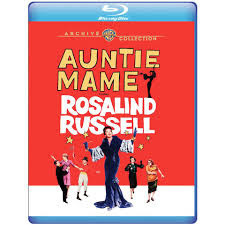 While the story of Auntie Mame began as a pair of novels written by Patrick Dennis, the film is more closely based on the stage production, which was inspired by the writer’s first book about his frisky heroine. It was a career rejuvenating success for Russell, as would be the film. 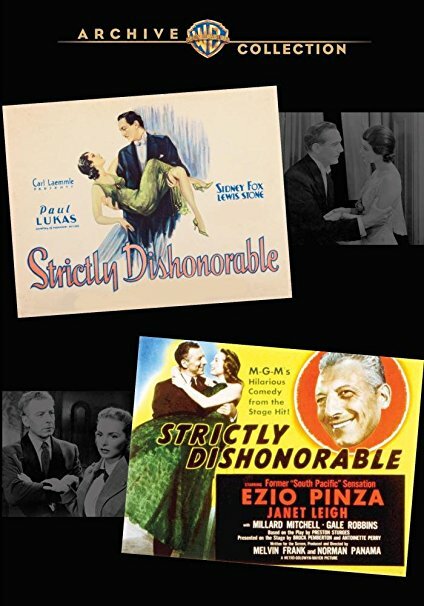 When she took Mame to the big screen, her stage costars Yuki Shimodo (as her high-spirited butler) and Peggy Cass (as the hapless secretary Agnes Gooch) would come with her. The most famous line to come from Auntie Mame is Russell’s in-character proclamation that “life is a banquet, and most poor suckers are starving to death.” That is in essence the heart of this film, in which the alternately wealthy and near destitute, but always vibrantly adventurous Mame navigates her way through life. As the story begins, she is united with her newly-orphaned nephew Patrick. While she has no intention of giving up her wildly eccentric lifestyle, one of the most endearing aspects of her character is that she immediately showers her new charge with love and dedicates herself to his happiness and well-being. As Patrick grows up and Mame finds herself in varying degrees of prosperity, the pair encounters a cast of characters with an eccentric energy much like Preston Sturges’ regular ensemble. The interaction between these players is in essence a clash between living with abandon and pursuing so-called respectability. On one side there is Mame’s best gal pal the actress Vera Charles (Coral Browne) who wakes up most mornings with a hangover in her bestie's spare bedroom, Ms. Gooch who goes from drinking Dr. Pepper to black out drunkenness and unplanned pregnancy, and the always game Ito who doesn’t bat an eye at any of it. On the other there is everyone’s favorite excuse for smashing the patriarchy, the authoritative Fred Clark as Dwight Babcock, executor of Patrick’s fortune and education, the young boy’s vapid upper class girlfriend Gloria Upson (Joanna Barnes), and her hideously anti-Semitic parents Doris and Claude Upson (Lee Patrick and Willard Waterman). These broadly-drawn characters are perfectly cast support to Russell, who seems to be living her role. Altogether, it is a wildly entertaining ensemble; there is never a threat of boredom. As delightful as the cast is the look of Auntie Mame. Russell and Browne in particular have such drool-worthy costumes that I can’t believe this production is not known as a fashion film. The sets are also a lot of fun, as Mame goes through several different phases which she reflects in her interior decoration. I particularly love a cocktail party scene where she tortures her guests by lowering and raising her Avant garde couches with a series of pulleys. There is so much to recommend this vibrant, colorful film with true substance and love at its core. It is a treat to finally be able to enjoy it on Blu-ray. The bright colors and elaborate sets of Auntie Mame look sharp and clean on the Blu-ray. Special features on the disc include a trailer for the film, a trailer for the Lucille Ball-starring musical version of the story Mame (1974), which shows how drab and horrifying it is in comparison. There is also a music-only audio track which highlights Bronislaw Kaper’s score, which I found curious since the music is the one element of the film that I don’t find at all memorable. Few films have won the unanimous acclaim of the classic to end all classics Casablanca (1942). While the World War II era romantic drama has had plenty of detractors over the years, no one can deny its enduring impact on movie culture and the unique magnetism which has always held it above other cinematic works. Now, to celebrate the movie’s 75th year entrancing audiences, Noah Isenberg has written an in depth celebration and exploration of the film. 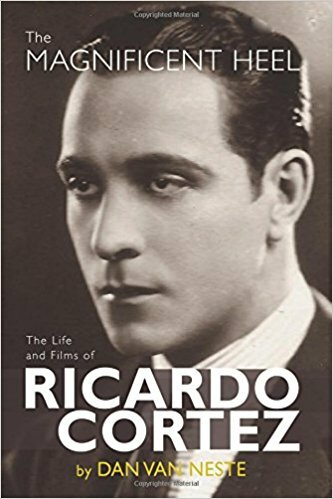 The book follows the progression of this celluloid phenomenon from its stage play origins to the way it has influenced audiences and artists throughout the years. It’s an interesting journey, as the production takes on new layers of meaning through each step of its existence. As the play Everybody Comes to Rick’s the essential plot that formed the basis of Casablanca was intriguing enough to attract the attention of studio heads, but as not much more than a story that could attract enough ticket buyers to turn a profit. It is on the movie set where this budding classic found its soul. While there was a member of the production who called one of the trio of stars “Paul Hemorrhoid”, it seems that for the most part the set was a happy one. It is here that the combination of great screenwriters, the dedication of director Michael Curtiz, perfectly cast roles and the very real connection of the supporting players to the story that the film became something more significant than the latest attraction. That last element is key to the significance of Casablanca and one of Isenberg’s most interesting points: this film about refugees was packed full of actual refugees playing their own lives. Performers like Marcel Dalio, S.K. Sakall and Conrad Veidt had all escaped with their lives from Nazis. Though grateful to be safe and employed, Veidt was particularly bothered that he found the final successes of his life effectively playing the Nazis he had loathed. The set was filled with actors like these, speaking various languages, enjoying the California sun, but longing for home. They offered each other support, and their own traumas and fears gave the final product a feeling of authentic heartbreak and peril. The rich diversity of the cast, coupled with a witty and sometimes subversive script gave Casablanca an edge over other productions of its time. 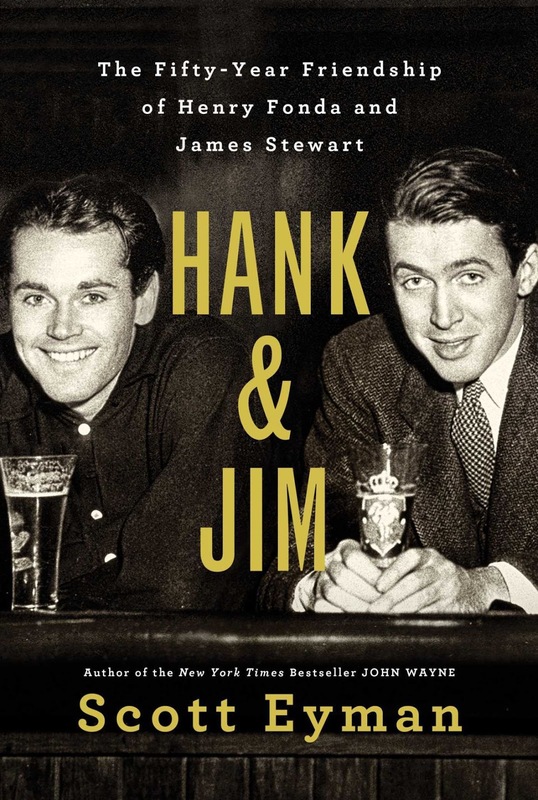 Isenberg details the various contributors to the script, from the stolid Howard Koch to the playful twin writing partners Julius Epstein and Philip Epstein, with some mention also given to the uncredited contributions of Casey Robinson. He also gives ample attention to the remarkably talented, wide-ranging cast, paying particularly poignant tribute to vocalist Dooley Wilson, whose rendition of the film’s love theme captures its spirit. 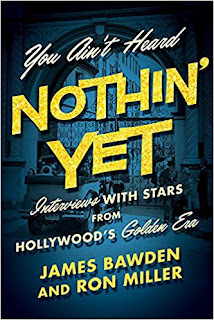 Isenberg’s production notes and analysis of the unusually devoted fan following to develop in the decades after the film’s release are tightly and effectively written, forging a confident and compelling narrative. 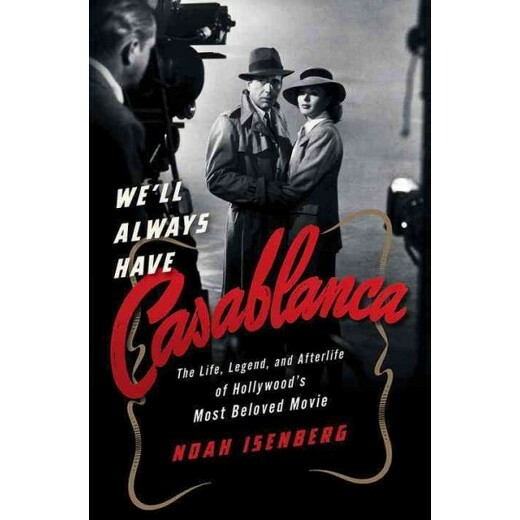 He is less surefooted when he explores the cultural impact of the film, losing a bit of organizational sharpness and occasionally granting excessive significance and attention to the various cinematic, literary and musical offerings inspired by Casablanca. However, this is for the most part a solid, compelling work which successfully reveals the essence of this remarkable film and analyzes the source of its magic with great conviction. Many thanks to W.W. Norton & Company for providing a copy of the book for review. 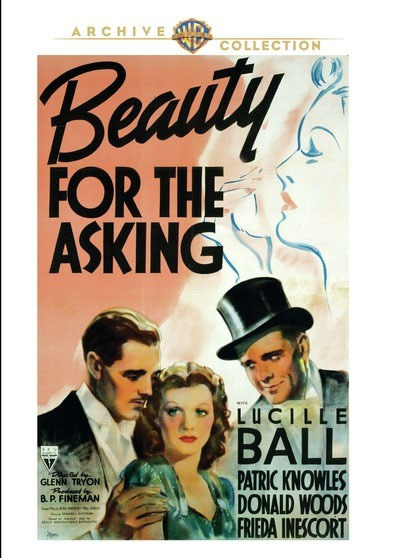 I recently had the chance to check out a pair of pleasantly entertaining 1939 rarities making their debut on DVD from Warner Archive: Full Confession, with Victor McLaglen and Beauty for the Asking, staring a pre-hilarious Lucille Ball. While it is understandable that this slight pair got lost in the shuffle during the legendary year in Hollywood that brought Gone with the Wind, The Women, Wuthering Heights and the like to audiences, they have their own charms. I’ve always looked on Victor McLaglen as a more sincere version of Wallace Beery. He blunders around in much the same way, relying a bit too much on his physical power and impulsive decision making to get through life, and finding trouble because of it, but unlike Beery, he seems to understand his weaknesses on some level. He isn’t “aw shucks” about it, but rather has the decency to feel a little shame when he goes too far. In the John Farrow-directed Full Confession (1939), he plays this familiar character in a story that often feels more like religious melodrama than the crime drama it is claimed to be. McLaglen is Pat McGinnis, a somewhat cuddly, but also dangerous man who is arrested after he steals a fur coat for his waitress girlfriend Molly Sullivan (Sally Eilers). He is shuffled off to a work farm to serve out his sentence, with the police unaware that he has committed the much more serious crime of killing a policeman during another attempted warehouse crime earlier in the night. 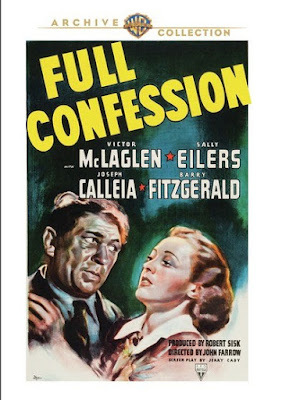 Through an unfortunate series of events, the warehouse night watchman Michael O’Keefe (Barry Fitzgerald) who McGinnis knocked out before the crime is convicted of the murder and faces execution. His pastor Father Loma (Joseph Calleia), who also knows McGinnis, learns the truth and much of the film involves his quest to free O’Keefe. It’s a bit alarming the way the soundtrack full of weeping strings and several scenes of McGinnis and Sullivan being sweet on each other seem to be indicating that Pat isn’t the dangerous monster he is. Impulsive, aggressive and with no apparent desire to assimilate into society, you know that violence and despair are in Molly’s future if they marry and there are moments that she seems to realize that as well. Father Loma is fully aware of how dangerous and reprehensible the situation is though and he doesn’t hesitate to talk tough. 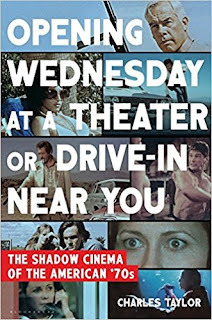 While none of it is terribly compelling, the disconnect between the film’s attempt to present a sweet couple and the darkness of the truth is intriguingly unsettling. Calleia is also oddly interesting; his sureness of purpose and complete moral certainty could only fully work in a cinematic world, but he lends an interesting edge to his determined man of religion. Long before Lucille Ball realized her comic genius, she was an appealing, if not totally dazzling star of several genres besides comedy. Starring in the romance Beauty for the Asking (1939) as a beauty salon attendant who cashes in on her brilliant recipe for cold cream while shaking off a yen for the lousy boyfriend who dumped her, she is sharp, lovely and deeply sympathetic. The bad beau is salesman Denny Williams (Patric Knowles) who leaves the lovely Jean Russell (Ball), for whom he feels passion, for the unpolished but insanely wealthy Flora Barton-Williams (Frieda Inescourt), who can provide him with comfort and access to plenty of illicit society side pieces. Jean realizes Denny is no good, but she can’t shake her passion for him and when Flora has him help her with her cold cream business as a term of her financial support, she struggles to hold him at arm’s length. On the sidelines is the much cuter Jeff Martin (Donald Woods), who helps Jean with ads and waits hopefully for her to notice him. As her slightly dim-witted gal pal Gwen, Inez Courtney supports Jean’s business and her desire to put a Denny in the past. She is also responsible for the comic elements of the film. In a scene of physical comedy that is at odds with the more dialogue-driven humor of the rest of the film, Courtney is mildly amusing, and knowing what we do of Ball now, it is odd to see her gamely playing straight woman to a much lesser comic performer. Beauty for the Asking is at its best when it embraces the feminism at its core. Jean thrives while pursuing her dreams of business success and she isn’t ruthless in fulfilling them either. In fact, she throws genuine, generous support to Flora; their strengthening sisterhood is the most satisfying aspect of the story. Most films from this era featuring strong-willed, independent women force you to avert your eyes from implausible endings where the heroine collapses from the exhaustion of being great and retreats into marriage. Here there is no compromise and instead a satisfying feeling of victory.